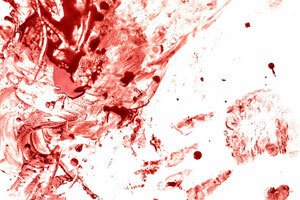 An expert in blood spatter offered testimony in the habeas hearing of Brad Jennings, who was convicted of the murder of his wife, Lisa, in 2009. Lisa Jennings was found dead of a gunshot wound early on Christmas morning in 2006. The Dallas County coroner initially ruled her death a suicide. Lisa Jenning’s right hand tested positive for gunshot residue and both of her husband’s hands tested negative for residue. A few months after Lisa’s death, her younger sister went to the police with her concern that Lisa had been murdered by her husband, Brad. Sergeant Dan Nash led another investigation of the death. Nash concluded that Lisa Jennings had not committed suicide — she had been shot by her husband, Brad. At Brad’s trial, Nash explained that his conclusion was based on blood spatter evidence, or the interpretation of individual blood stains. Nash testified that he believed that the death was a murder and not a suicide because Lisa Jennings’ hand only had one drop of blood on it. Nash testified that there should have been more “blowback” present from a gunshot. Brad Jennings was convicted of his wife’s murder and sentenced to 25 years in prison. Brad Jennings has maintained his innocence since his conviction. His sister hired an investigator and attorney who discovered that the prosecution suppressed evidence that may have been exculpatory. Brad Jennings filed a writ of habeas corpus, requesting that his conviction be vacated and he be released or that he receive a new trial. Circuit Judge John Beger presided over the hearing. Slemko additionally criticized Nash’s conclusion that there should have been “blowback” from the gunshot. Slemko said, “Back splatter is actually a very rare thing in most firearm related events.” Slemko also opined that the blood that was found on Brad Jennings’ bathrobe could have come from the blood in his wife’s hair; it did not necessarily result from him firing a gunshot. Under cross-examination, Slemko admitted that he is not an expert in gunshot residue evidence, that he never saw the bathrobe at issue, and that he did not know about Nash’s other training that may have been relevant to the investigation.